Through a weekly, 7 session workshop parents will have the opportunity to write a story for their children. Write a story for your child to treasure. Be the one to inspire imagination and a lifelong love of reading and writing! Sessions are first come first serve. Parents must attend first session to participate in subsequent sessions. Please contact a CMAS advisor for more information! 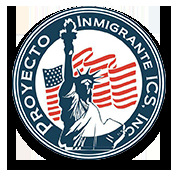 The Immigration Counseling and Legal Services Program is a collaboration with Proyecto Inmigrante –a non-profit in the Metroplex lead by a UTA alumni Douglas Interiano. This course provides students an opportunity to engage in community outreach helping low-income families with their immigration legal needs, assisting in event planning such as immigration forums and immigration informative sessions.